The five key features of the medical home model  patient-centered, comprehensive, coordinated, accessible, committed to quality and safety  are included in this infographic from the Patient-Centered Primary Care Collaborative (PCPCC). It includes definitions for each of these features, sample strategies used by health professionals, employers, and payors, and their collective impact on the health system. You may also be interested in this related resource: 2012 Healthcare Benchmarks: The Patient-Centered Medical Home. The digital age is redefining healthcare and many factors are driving this medical revolution. 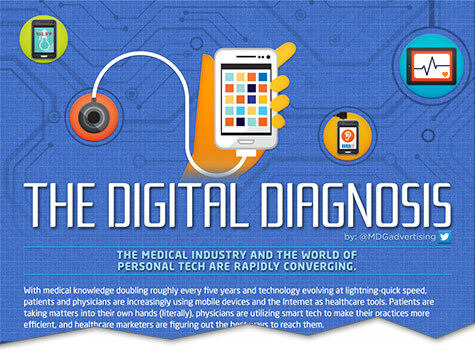 This infographic from MDG Advertising shows that patients are now much more digitally active in their healthcare. Research reveals that 72 percent of U.S. adults have gone online to seek healthcare information in the last year, while one-third have searched the Web to figure out certain medical issues. The graphic shows that women are more inclined to seek health answers online and that more than 55 percent of medical Web searches are about specific diseases, 43 percent are related to medical treatments, and that weight loss and health coverage each account for one-quarter of Web inquiries. It also points out that patients are coming together on social media sites to form communities for sharing their experiences, resources, and research. As a result, 40 percent of patients have posted comments about personal health experiences and 30 percent have consulted online reviews of healthcare services. Are Accountable Care Organizations Improving Population Health? What does the phrase ‘improving population health’ really mean? 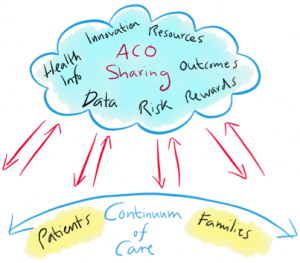 And are ACOs truly designed to improve it? Researchers from Weill Cornell recently tackled these questions in a thought provoking piece featured this week, questions that need to be addressed in order to formulate effective healthcare and social service policy. At issue is the widespread use of the phrase population health tied to ACOs, and whether ACOs actually have the incentives or the tools to improve the health of the entire community in which they are located, or whether they are just responsible for improving medical care for their own population of patients. To read more on this discussion, click here. 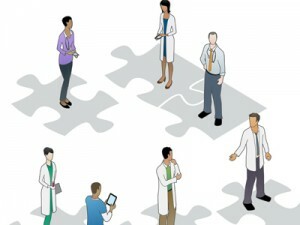 In another story about improving healthcare, notably the issues of access, quality and cost, the Robert Wood Johnson Foundation (RWJF) has launched a $3 million initiative with the AARP to implement the Institute of Medicine’s (IOM) evidence-based recommendations on the future of nursing. The foundation will provide states with the support they need to build a more highly educated, diverse nursing workforce that will improve health outcomes for patients, families and communities. Another effort to decrease healthcare costs is presented in a study from Brigham and Women’s Hospital and CVS Caremark, published in the American Journal of Medicine. Patients with coronary artery disease (CAD) who are medication adherent can save the healthcare system up to $868 per patient per year. Researchers found a consistent trend toward improvement in coronary artery-related events, mortality, readmissions, and costs among those patients who most adhered to their medication regimens. In other more cost-related news, a collaborative of 333 hospitals intent on improving costs and care have saved $9.1 billion and 92,000 deaths since 2008 by replicating the performances of top performing hospitals, according to Premier Healthcare Alliance’s QUEST™ collaborative. If hospitals nationwide followed QUEST’s™ lead, they could save 950,000 lives and approximately $93 billion over the next five years, officials said. And don’t forget to take our new survey, Managing Care Transitions in 2013. Proper management of a transition in care  the process by which an individual’s care moves from one health setting to another, such as from hospital or ER to home, or from SNF to hospital  has the potential to dramatically hasten that person’s return to optimal health, as well as reduce the likelihood of a return ER visit or readmission. The quality of transitional care is also shaping up to be a critical factor in value-based reimbursement, as federal and private payors ask patients to rate the quality of the transitional care they receive. Please share your organization’s efforts to improve care transitions by completing HIN’s third qualitative survey on this topic by Friday, April 12, and we’ll send you a free executive summary of the compiled results. Posted in Accountable Care Organizations, Healthcare Costs, Population Health Management | Comments Off on Are Accountable Care Organizations Improving Population Health? Unless healthcare organizations take certain key steps this year, their Medicare reimbursement level in 2015 could be cut 2 percent or more. That’s because among other areas, the CMS Physician Quality Reporting System (PQRS) and ePrescribing (eRX) programs are shifting from bonus to penalty programs to insure compliance. More than 80 percent of Medicare providers will face penalties for failing to meet quality thresholds if current performance trends continue. This infographic from Medical Billing highlights these changes and what healthcare entitities need to do to protect their practices. Four hundred healthcare providers  about a tenth of all hospitals in the United States  can’t be wrong, can they? That’s the number signed on to participate in a Medicare payment bundling pilot run by CMS, their biggest payor. And while it’s too early to know if the reimbursement concept will stick, one thing’s for certain, noted Jay Sultan during a recent webinar on Moving Forward with Payment Bundling: there’s a growing body of proof that the payment model works. As an example, Sultan, associate vice president and chief product portfolio architect for TriZetto® shared some data from California’s Hoag Orthopedic Institute, formerly two surgical groups who have collaborated in a bundled payment model and “reengineered every aspect of care, from beginning to end, significantly lowering its common cost structure.” In one proof point shared by Sultan, Hoag reduced infection rates for knee replacements to 0.1 percent, significantly below the national 2 percent average, Sultan explained during the advice-filled session. The savings per avoided infection is about $60,000, he said. While the federal payor has yet to report, early feedback from CMS’s recently concluded ACE bundled payment demo is largely positive in terms of revenue for participating payors, hospitals, physicians  even the patients in the pilot received a rebate from CMS, he added. Based on Sultan’s own research, he is “not aware of any prospective payment, bundled payment program that was not beneficial for the providers, the payor and the members.” He contrasted prospective payments with retrospective payments, which he characterized as similar to fee-for-service (FFS) but with the possibility of receiving a bonus afterward. There is a place for both payment types, but prospective does a better job of transforming care, Sultan noted. For payors, some prickly areas early on might include provider contracting, claims administration, and impact on member responsibility. Providers, for their part, must become adept at managing risk. Providers “need to be able to get the data, to develop analytics, and to develop methods for collaborating with each other  including the fact that some providers are going to lose,” he emphasized. Sultan offered a wealth of advice for each entity contemplating a shift to bundled payments. For all stakeholders, what will be required is a paradigm shift away from FFS, the foundation for much of the industry’s day in, day out day out operations. “We measure our utilization by it, we evaluate our quality by it, we do all these things based on fee-for-service. Sultan provides more advice on bundled payments, from two key factors to keep in mind when trying to engage physicians in the model to the major decision facing primary care now that CMS has introduced bundled payments for care coordination tasks, in this expanded interview. Whether through exercise, healthy eating habits, or routine checkups, daily healthcare decisions have a direct impact on the future of healthcare investing. With the demand for quality healthcare steadily rising, innovations in healthtech are encouraging investors to take a closer look at the role this sector will play in the future of healthcare, as shown in this infographic from SecondMarkets. The infographic depicts consumer demand for healthtech, which cities are hotspots for healthtech investing, and more. 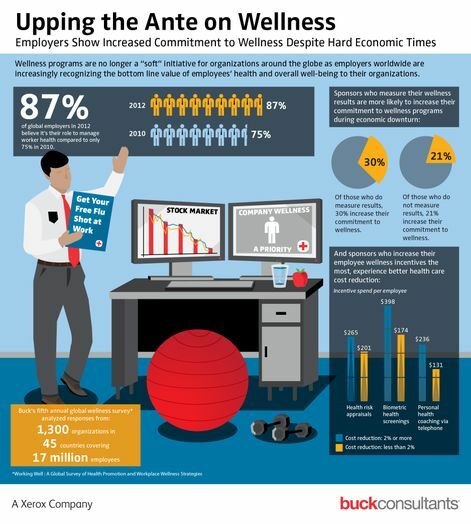 Weight of the Union 2013, an infographic from Anytime Health, examines the macro-implications of obesity on the nation’s health. This graphic not only defines the program, but suggests a treatment program to reverse this unhealthy trend, including the recruitment of food and beverage brands to make and market healthier products and the increased access to locally grown food in restaurants and supermarkets. You may also be interested in this related resource: 38 Disease Management Metrics: Population Health Benchmarks to Drive Accountable Care.